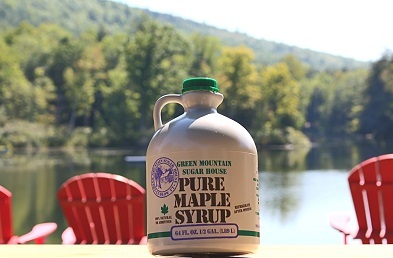 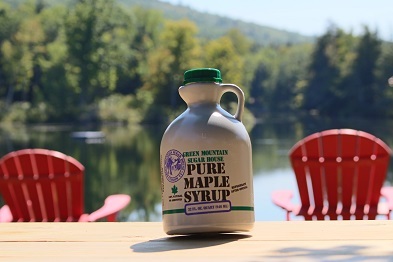 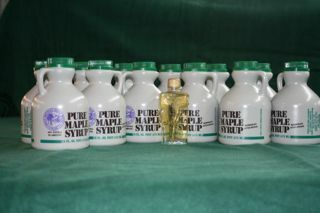 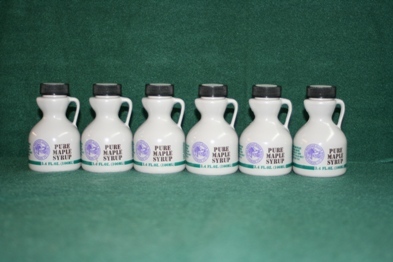 1 quart of Vermont Grade A Amber Rich Taste Maple Syrup, 2 lb. 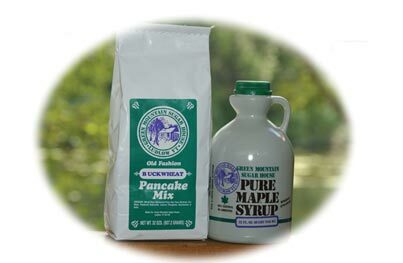 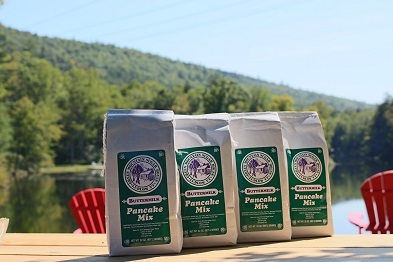 package of Buttermilk Pancake Mix and 2 lbs. 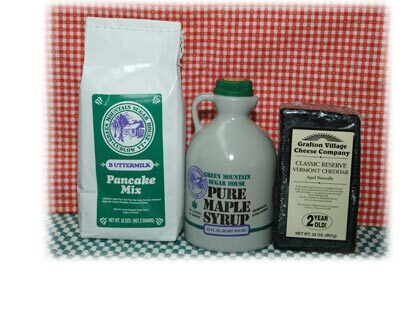 of Extra Sharp Vermont Cheddar.